Replaced axle and looking for specs for the axle nut and how to replace the CV axle. 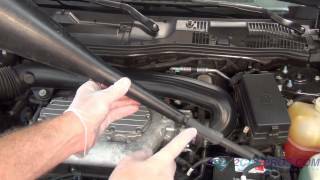 What are the torque specs for the front axle nut on a 1997 ford taurus gl? 180-200 ft lbs Here is a guide to help you change the CV axle out. after checking on your site, which I think is great by the way, I think my cv joint is bad. It pulls, and definitely shakes when I brake. Do I need to replace the axel? I'm confused? I don't want to continue to replace either. Before I go in to have it repaired, I wanna make sure I know what to say. I need the car to last me for at least another year or more before I can get a new one. Looks expensive though. How much would on average for me to have this repaired? Thank you so much. The shaking while braking will most likely be warped rotors. As far as the pull goes, you may want to try a cross rotate of the tires to see if it pulls the other way. If it does then you will need to replace the tires. Usually tires that cost less end up causing more problems. F the cross rotate does not change the pull, then further inspection of the suspension will need to be done. Is the hopping rhythmic? I have a theory, but would like to know the answer to this question first. It doesn't feel like an engine miss, does it? The engine is running fine. We put the car in drive applied the breaks ran the RPM's upto 2500 to 3000. We did the same thing in reverse thinking that it might be the motor mounts. The car showed no signs of bad motor mounts. The hopping is steady when it happens almost like a four four beat going down the road. Hopping or maybe even you could call it a lunge. 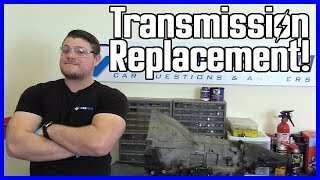 Could it be just a bad overdrive gear in the transmission? Replace the whole axle, not just the joints. We replaced a driver side CV joint (axle) and when we attempt to drive it the wheel locks up. I've been told that the ABS sensor causes a problem. The wheel turns as it should (slightly til it engages the gears) but when the engine is started to drive it, the wheel is completely locked up without the slight movement as we should normally feel after putting it into park. Is the ABS causing a problem and if so, what can be done to fix this? Was any grinding noise heard the first time you tried to drive it? Did you count the splines on the inner joint? It could be the wrong shaft. I replaced the front Rotars and brake pads last night. When the right front was off my husband found thick grease on the axle and saw that the boot was torn on the underside. How do you take the old CV Boot off and replace it? Is it something that the "Average Joe" mechanic can do or should only a certified mechanic attempt this? Also, I cant find an online manual. Do you know of one? How do I donate question next time? I dont have a credit card. Wetake paypal and checks mailed to the address at the bottom of my signature. The cv axle needs to be taken out and removed a new boot installed on the axle, the old grease and grime washed out of the joint, new grease put in and the boot clamped with a boot clamp tool, and axle reinstalled in the car, and they are fairly tough on your model.A lot to damage! ABS sensor and ring. Hub bearing and the inner joint! Once the old axle is out, replace it with a rebuit instead of foolin around with boots! Thank you so much! This website is a lifesaver. Have examined the left front boot over the cv joint and found it to have been damaged. Having no problems with current CV joint - should I clean it and repack it with another new boot or should I replace the joint? How much does a overhauled one of these things cost? I am replacing both CV joints and have installed the drivers side in about 10 minutes. The passanger side seems to be petruding out to far from the trans axel. I have taken the cv joint back twice thinking I was given the wrong part. What could be the problem. Align the inboard CV joint housing splines with the differential side gear splines and push the CV joint housing assembly inward until the circlip seats in the differential side gear. Make sure the circlip is installed correctly and not damaged. If necessary use a non-metallic mallet to aid in seating the circlip in the differential side gear groove. Tap ONLY on the outboard front wheel axle shaft joint. Usually you just rplace whole axle as they are relatively inexpensive at local chain auto store. Steerring To Left Bad Shimmy And A Knocking. Think It Is Cvs But Which Side. Thx.